Asian Restaurants in Queenstown are enjoying a rising reputation. From swish, lakeside emporia to good, old fashioned street food up in the CBD, you can get every kind of cuisine here, from Thai and Japanese, to Chinese and Korean. 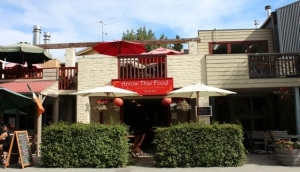 Queenstown Asian Restaurants enjoy a good reputation for being authentic and innovative. Beach and Rees Streets have many good Chinese places (Mandarin, Dragon Place) and you can get great South Asian dishes at My Thai with views overlooking Lake Wakatipu.